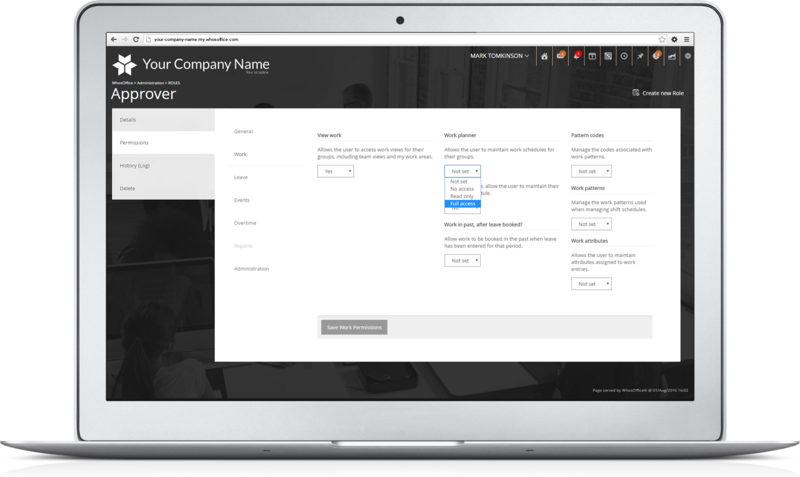 Set up User roles to manage who can access which particular areas of the system and then assign roles to as many staff as necessary. Use Rules and restrictions to ensure that you maintain the correct staffing levels required across groups. When you create a group, you can define which users are in the group and who can "see" the group along with the minimum staffing level required. A restriction can be set between groups and/or individuals to avoid leave clashes. Within Leave types you specify rules such as notice periods, maximum time off and also set up leave types are available to particular groups. You can define how much Carryover is allowed based on service length with your company and when that carryover must be used by. Creating a policy for Accruals lets you automatically increase a staff members allowance each month. Administrators are able to create roles that enable managers to access specific functionality which can help them manage their own staff/team without having complete access to the whole system. e.g. being able to submit leave on behalf of their team.